The older I get the older my patients get. Funny how that works. But as I continue in this profession, I find more and more patients suffering from Arthritis. 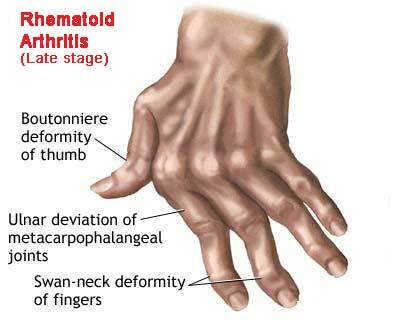 Arthritis, that dreaded word that seems to make people stop dead in their tracks. They hear the doctor say, “oh well, you’ve got arthritis” and the physician might have well said “cancer”. But it’s not the end of life as we know it. I hear patients say that they can’t exercise because they have arthritis, or that they are getting old because they have arthritis. Well it’s just not so. Just ask some of those that wrote testimonials on the right had side of this web page. Some could not walk up the stairs, or play tennis, but they can now! A miracle? Nope, it’s just a matter of understanding was is really going on. According to the Arthritis Association 1 in every 6 Canadians are diagnosed with Arthritis. And one in every 1000 children has Arthritis. See, Arthritis is vastly misunderstood. Many perceive it as an “older person’s disease.” The fact is that 60% of the nearly 4.5 million Canadians with arthritis are under age 65. Among the top three chronic diseases in Canada, arthritis is actually a group of more than 100 different types of arthritis, including osteoarthritis, rheumatoid arthritis, lupus, gout and ankylosing spondylitis. Arthritis falls into two major groups: Degenerative arthritis and Inflammatory arthritis. Symptoms of arthritis include pain and limited function of joints. 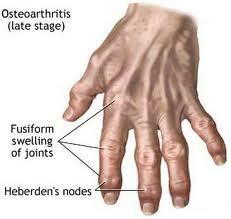 Inflammation of the joints from arthritis is characterized by joint stiffness, swelling, redness, and warmth. Tenderness of the inflamed joint can be present. Many of the forms of arthritis, because they are rheumatic diseases, can cause symptoms affecting various organs of the body that do not directly involve the joints. Therefore, symptoms in some patients with certain forms of arthritis can also include fever, gland swelling (swollen lymph nodes), weight loss, fatigue, feeling unwell, and even symptoms from abnormalities of organs such as the lungs, heart, or kidneys. Most of what I see in the office is of the degenerative type of arthritis, Osteoarthritis being the primary form. So how do I treat this type? First, know that no one is alike therefore each case is treated specifically. Massage is a great place to start. According to the Arthritis Foundation, massage can help with arthritis in two ways. First, it reduces muscle pain that is usually caused by spasms. Second, it increases your body’s ability to produce endorphins which reduces pain. Going back to a study reported in late 2006, some clinical findings regarding osteoarthritis of the knee had a lot of good to say about massage. In a December of 2006 article, The Archives of Internal Medicine said that those receiving massage therapy had less stiffness, pain and increased physical function in their knees. A similar study was done in 2006 that focused on those who suffer arthritis in the hands. The Touch Research Institute found that massage on a regular basis eased the symptoms that flowed from that arthritis. That included less depression and anxiety; less pain; better gripping power; and in general, greater improvement. 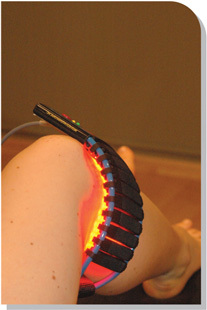 Using Low Intensity Laser Therapy is another modality that has worked very well, especially with arthritic knees, hands and shoulders. A half hour of using LED red light and infrared light has a remarkable affect on the area. I have had many patients in which within 3-6 treatments, we have been able to reduce pain and increase function. After that, a treatment every so often keeps the pain in check. Movement and exercise are also a must when treating Arthritis. Remember the rusty hinge! Keep it moving and it will continue to move. Stop and you stop. Movement is Life! Working with your posture and a specific exercise program will get you up and going again. No one knows what causes arthritis, though scientists have uncovered a host of clues. Something can be done to manage most forms of arthritis, but it’s very important that a correct diagnosis is established early. Most therapies work best when started early in the disease process. A very good friend of mine, and patient, Jon Wreglesworth, Wreglesworth Design Consultancy Inc. has been involved with the Arthritis Is Cured Organization. They are about to come out with an app available for the public and healthcare professionals alike. ArthritisID and ArthritisID PRO are the 2 most authoritative, free arthritis apps available to the public and healthcare professionals for information on the diagnosis, treatment and prevention of one of North America’s most prevalent chronic diseases. One out of six North American adults is diagnosed with arthritis. Whether you are a family physician, nurse, pharmacist or an occupational therapist, ArthritisID PRO will help you screen for arthritis and understand the latest approaches in the disease’s treatment and prevention. 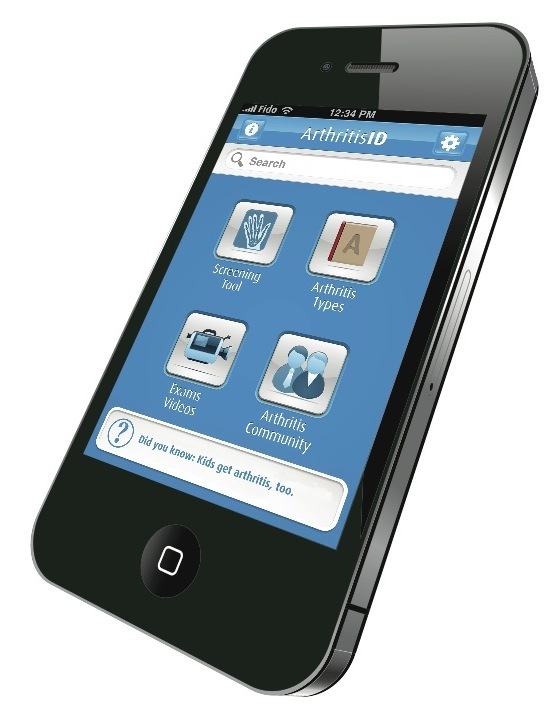 ArthritisID PRO have been specially designed and written by two of North America’s leading arthritis research and patient advocate organizations to provide you the most current, evidence-based and unbiased arthritis information when and where you want it – on your iPhone. The app is in the final development stages and will be available this month – June. As always, if you have any questions, comments or concerns please do not hesitate to contact me. Next post: Roll, Roll, Roll Your Boat…er…Legs!